Smoothies can be easily adapted to anyone’s tastes, this one is heavy in blackberries (brambles) as they are one of my favourite fruits. We had a bush in our garden when I grew up so have eaten thousands over the years. The quantities of fruit can be changed for anyone’s favourites. I like quite a thick smoothie but if you prefer a lighter consistency you can add water, coconut water, plant based milk, milk or yoghurt to thin it down. 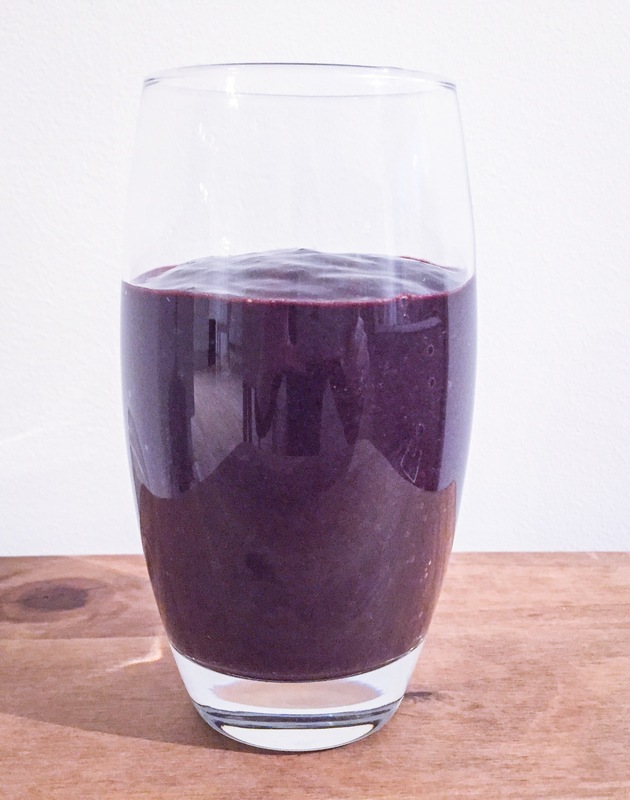 I added spirulina powder to mine to give it an extra nutritional boost. Spirulina powder is rich in protein, phosphorus, magnesium, iron, potassium, zinc, manganese, vitamins b1 b2 b3 b6 and is a source of chlorophyll and beta carotene. It really is a super food!